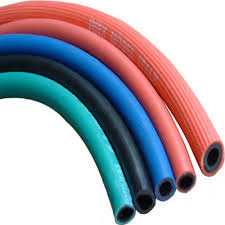 Pioneers in the industry, we offer ldpe sheets, aluminum flexible pipe and industrial rubber hose from India. 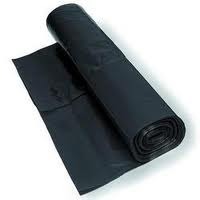 LDPE Sheets offered are known for their lightness as well as flexibility provided in given usage applications. Featuring puncture resistant finish, these also feature low co-efficient of thermal expansion as well as critical friction angle with options of ageing and weathering. Further, being inert and non-toxic material, it is highly preferred by customers in Agricultural purposes as well as in the linings of Canals, Distributaries, Reservoirs and Ponds. 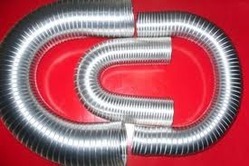 Aluminum Flexible Pipe offered find application in matching up to the demands of chimney ventilation as well as in other HVAC applications. The presence of aluminum metal based non-combustible material, it helps in providing in these pipes superior flexibility as well as vibration absorbing powers and can also offer tight permeation for handling of low pressure liquid and gas lines. Further, these flexible aluminum tubes also come in advanced manufacturing process design and use of latest forming theory that provides in the pipes optimal performance values. To gain strong foothold in the market, we are best in creating word class array of Industrial Rubber Hose that are available in many sizes. Looking for LDPE Sheets and Pipes ?